This is Ajetunmobi Daniel omotola, a Business Blogger/Writer at www.ajetomsblog.com . Print&Win will achieve your goals can take you to your self actualization level. 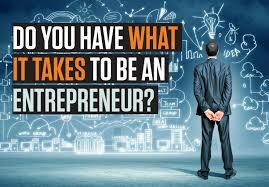 A) Why do I want to be an entrepreneur? B) what is my main purpose of being alive? C) What so I really want to achieve out of life? D) Can having my own business help me to achieve this? E) What in particular gives me excitement about owning a business? F) What kind of business do I want to do? G) Will I be able to face the risk(s) involved? H) What are those things that are likely to work to my advantage? I) What are the things that are likely to work against me? J) How do I overcome them? K) What are the costs and benefits involved in this business? L) Where do I really want to do business? Think perfectly on how to answer this questions because you are still young and supposed to be on a journey of becoming a successful entrepreneur today. I was looking for such an easy business tips. I'll use it for sure, because I want to start my own affair. That's the thing I really need. Could you look through the info here http://customessay-s.com/essay_editing.php and share your oppinion. Thanks. Sure, I'm going to do that. Thanks for your comment and I will advice you to keep visiting ajetomsblog.com for something related to this. Thank you! It is an wonderful webpage! to your post. They're really convincing and can definitely work.